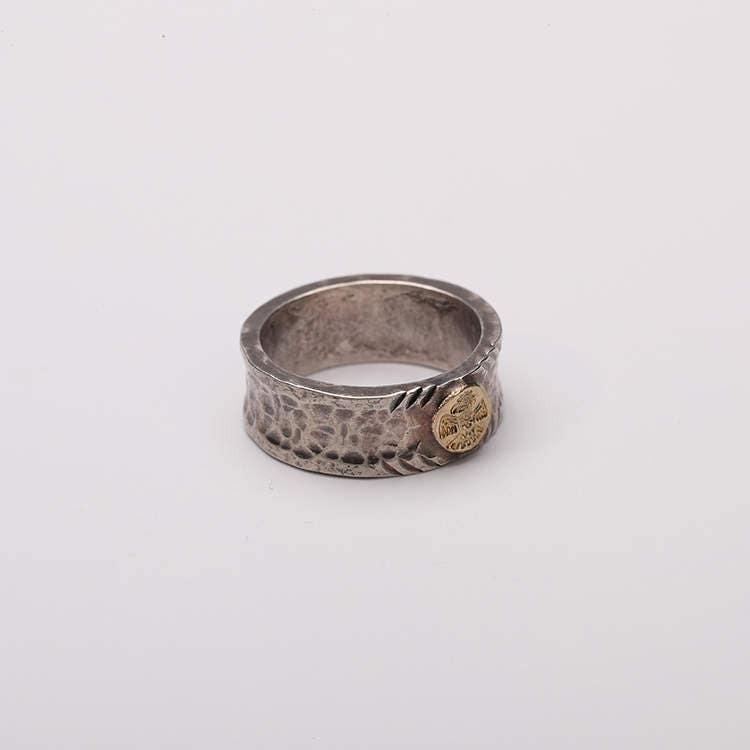 The new member of our Thunderbird ring collection is rough and rustic! 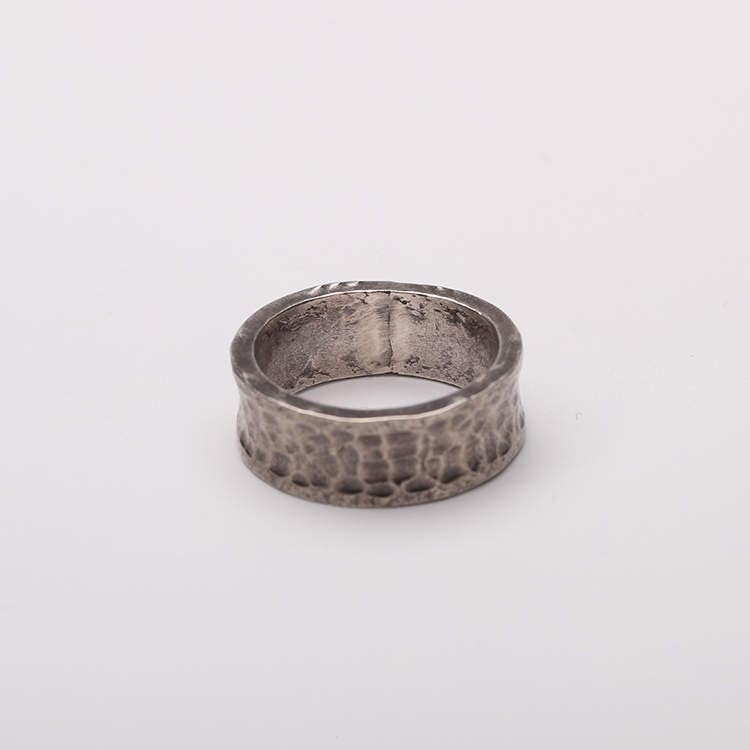 The design of this wide band ring goes to the basics - just a simple silver band engraved by hammering. 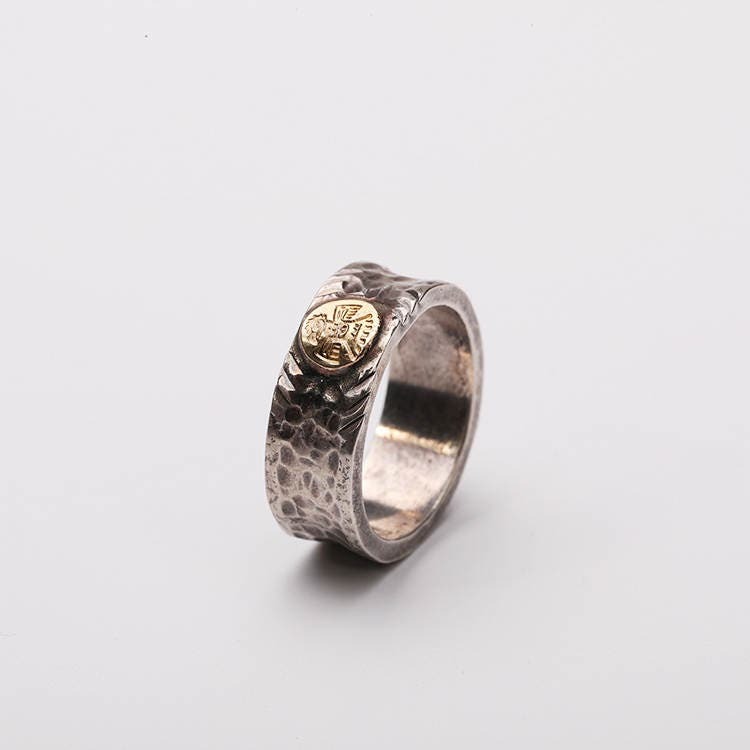 A single Thunderbird gold charm on the top provides the only relief in a completely stark design. 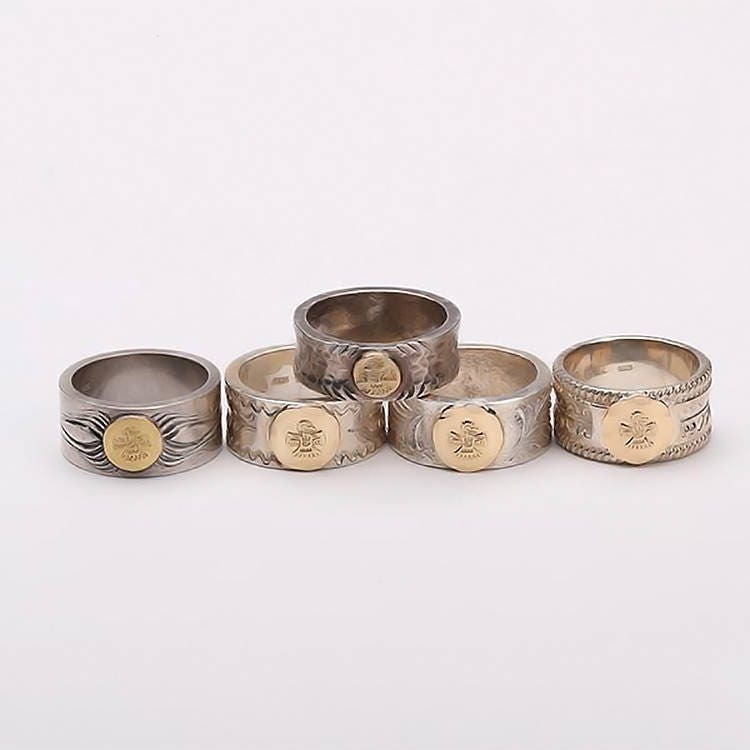 The band is versatile - wear it as a rustic engagement ring, or as a tribal silver ring. 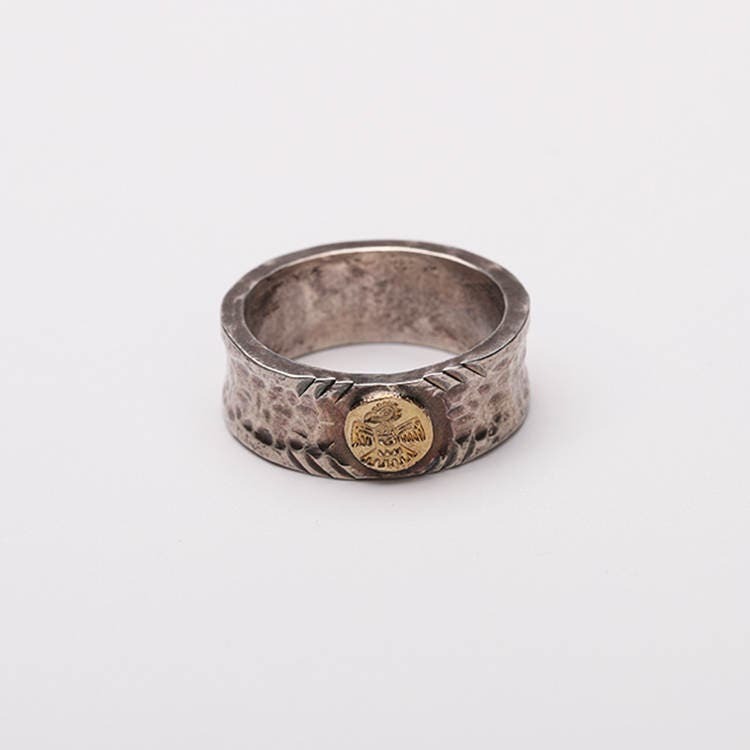 Or you could choose to go with the true theme of the ring and wear it as a thumb ring.